Europe is full of beautiful places to visit. Exciting and non-stop cities. Relaxing and peaceful countryside. 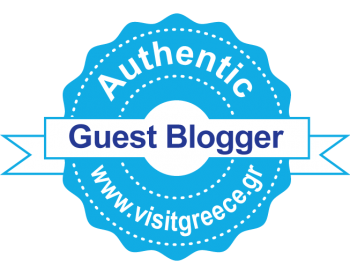 Places filled with cultural, artistic and and natural wonders. And then there are places like Annecy, Lake Annecy. Even if you had lived every day in a town like Grenoble surrounded by alpine views and snowcapped mountains till late in the summer a place like Lake Annecy and the town itself would still take your breath away. I had only seen Alps for a couple of days and was still blown away by those white peaks, draped in wisps of cloud, so Annecy was even more stunning when I saw it. 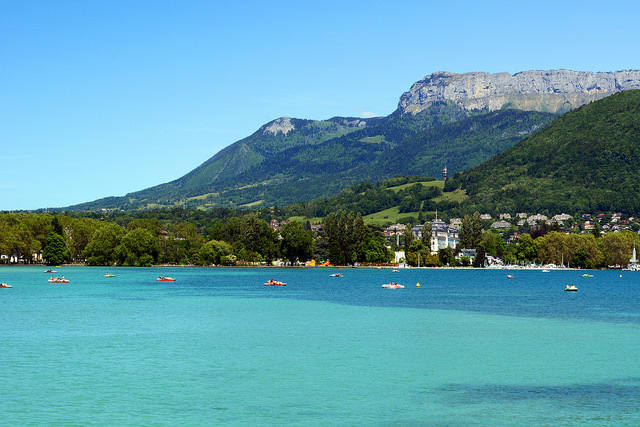 Annecy sits draped around the northernmost edge of the lake it shares the name of. Among the tightly packed streets and overhanging buildings and canals you’ll fall in love with the charm of the medieval French town. For most people the town alone would be more than reason enough but with the lake too it is a playground for the whole family. When you walk to the edge of the lake and take to the water you are surrounded by majestic and beautiful alpine views. 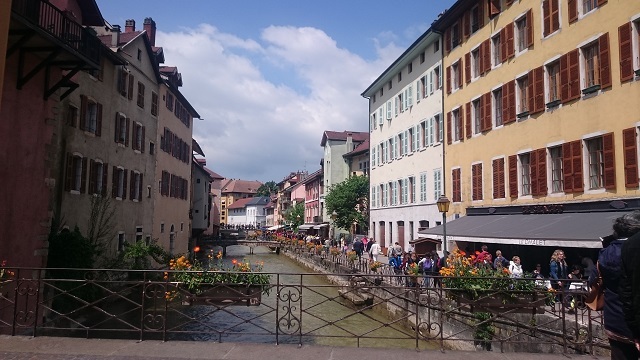 Annecy mixes the majesty of Switzerland with the classical charm of Switzerland and the mountain cuisine of France, Italy and Switzerland in this border area. It’s always good to know a local and have someone who know’s their way around to be your guide. We were lucky to be staying in Grenoble with Hana’s cousin who had been living there for a few months, he knew his way around Grenoble and decided we should visit Annecy and the Lake it sits by. Till then I, to my shame, hadn’t heard of Annecy. How do you get around France? Again it’s good to have a local with you who knows the best way to get around. Hana’s cousin suggested using an app called BlaBlaCar. It puts people looking for a ride in contact with people driving to and from places. We found a woman who was driving from Grenoble to Annecy and back later in the day. Luckily she had three spots in her car, sweet, pretty good for just a few euros each. After a good breakfast of French bread, jam and coffee it was time to head out and find our BlaBla Car ride to Annecy. 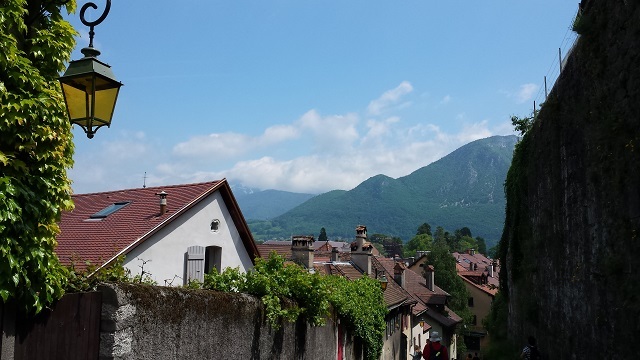 We drove out of Grenoble in a little French car, surrounded by mountains on every side. 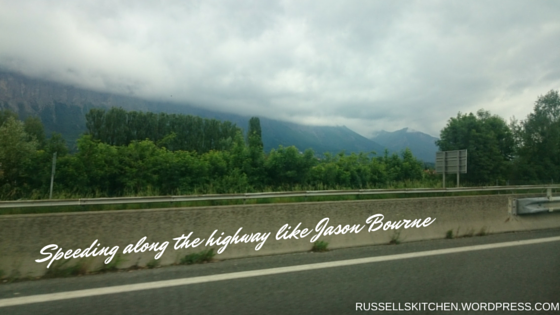 As we drove on long highways threaded between alps and mountains I felt like I was in a Robert Ludlum novel, half expecting Jason Bourne to be pass us going the other way. Of course listening to the Bourne Identity soundtrack might have helped a bit! The countryside in this part of France is spectacular, gorgeous even. And I would have enjoyed it a lot more if I had stayed awake for the whole journey. Never mind! We arrived on the edge of the town and at first glance it looked like any other French town with nice apartment blocks, modern streets and shops and a very modern looking railway station. We followed Hana’s cousin and headed off towards the town, through a modern shopping centre, I did wonder if it was going to be the lake paradise and old town we were promised. Emerging the other side of the shopping mall we immediately entered a network of smaller streets. The shops became more boutique as the buildings became older and much, much prettier. Soon we came to beautiful old squares and medieval looking buildings, classical churches and places which looked like they could be the set of Les Miserables. Flower lined canals, narrow alleyways, terraced restaurants and cafes nestle under and in medieval buildings. 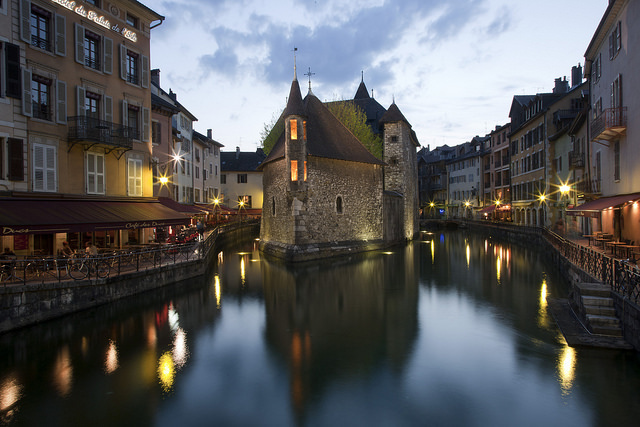 Annecy mixes the best of old world charm with all the elements of a modern city. 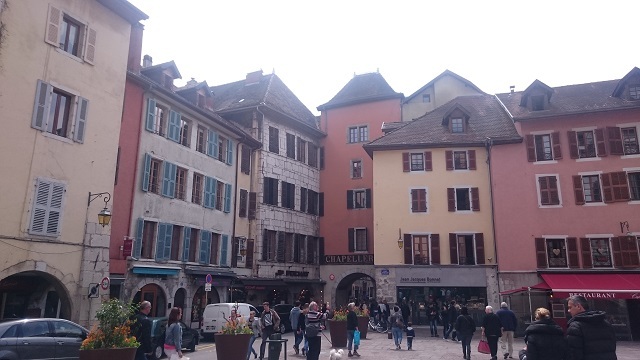 Annecy lies with some hills in it and we started by taking a walk to the top of the hill to get a better view of the city and surrounding countryside. I’d recommend taking a walk up here as you can see the picturesque medieval buildings set against the mountain background. By this point we had worked up a bit of an appetite, we’d not had anything since breakfast and there were little ice cream stations everywhere. It would be rude not to try some, wouldn’t it? We popped back down into the maze of narrow streets to get a little bit of ice cream and to see more of the beautiful flower lined canals. Visiting Annecy, or any town like this, the one thing you have to, must do is take a trip out on the lake. The lake itself is beautiful, gorgeous and very big. By comparison to Lake Geneva, Lake Annecy might be a lot smaller but at over 27 square kilometers, it is still vast by the standards of anything I had seen before. We went to the lakes bank and took in the part of the view we could see here. Then checked the boat times and got our tickets before heading off to find some lunch. I love restaurants with character and where we had dinner had bags of it. I wish I had noted down the name of the restaurant, or even the street might help, but never mind. 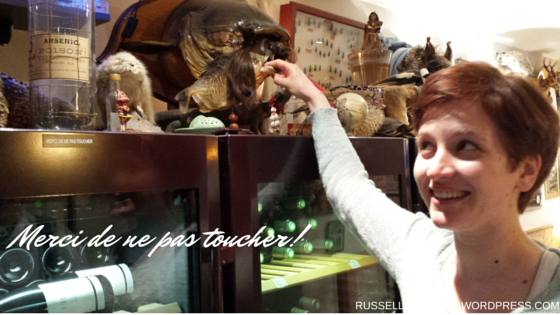 It had bags of personality and quirky little things like these fish models which tried to bite Hana. We went for a set menu with gorgeous French onion soup for a starter. I plumped for Pike Quenelles for my main course as this was a dish I’d wanted to try for years, since I saw a cookery show with Raymond Blanc preparing the delicate dish. Quenelles are a fluffy dish made with fish and breadcrumbs. They are light, fluffy and almost mouse like. They came served with Nantua sauce, a crayfish sauce which Quenelles are often served with. Along with it was a dish of fluffy rice. Gorgeous. For dessert, some nice soft, almost yogurt cheese with fruit compote. All washed down with another local beer. Perfect. On to the main show, Lake Annecy. The lake itself is gorgeous. In summer there are endless watersports opportunities and even in a less than summery May there were still a lot of people out on the lake. Despite the water probably being quite chilli we also saw quite a few people swimming and relaxing on grassy banks serving as beaches. 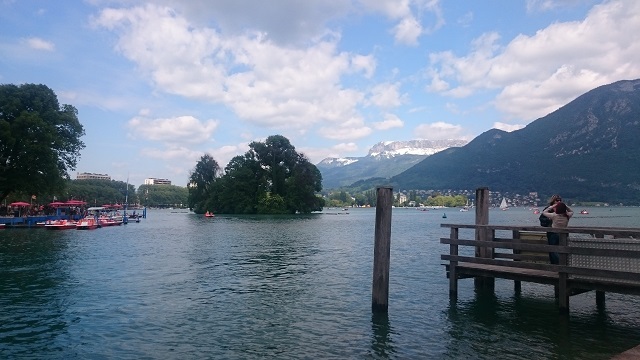 It was buzzing with small boats, pedal boats – you can hire by the hour – speed boats and the big tour boats which go around the lake. This was what we were going to take this time. The boat tour lasts well over an hour and takes in most of the lake. Along the way around the lake you pass villages and castles as well as the stunning mountain views. In the distance there are snow covered alps and close to the shore the mountains were just as impressive. 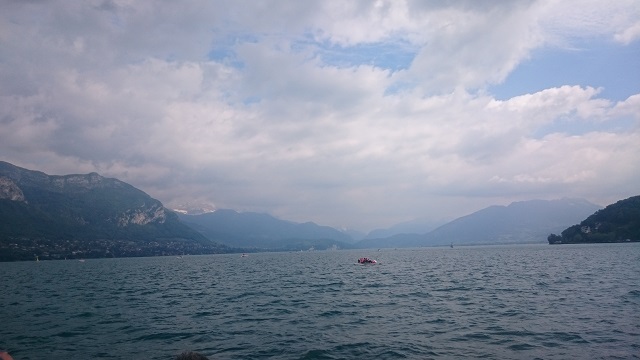 It was a little overcast whilst we were on the lake so I didn’t get the best pictures that day to really do Lake Annecy justice. If you can I think visiting in the height of summer would be perfect for getting great pictures. Later in the day we took a walk around the shore to the edge of town, where Annecy wraps around the northern edge of the lake. 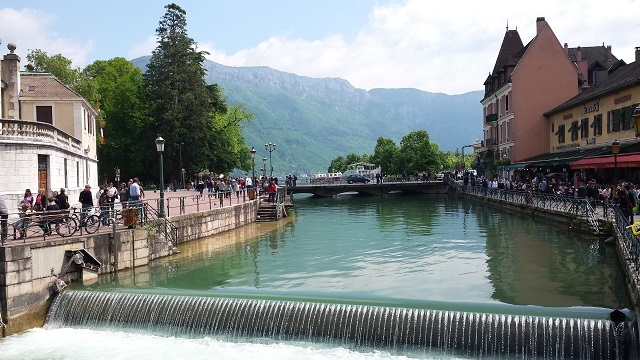 The parks, canals and gardens are beautiful and I love the town’s theatre – the Bonlieu Scène Nationale Annecy. It looks great with plants growing over and across it. We finished off the day by meeting up with some of Hana’s cousins friends for a couple of drinks before heading off to meet our ride to Grenoble. In pictures Annecy is beautiful, gorgeous. But in reality, it is some much prettier than I could capture. Yes there were quite a few holiday-makers and tourists but you can forgive them for going to such a beautiful place. Though it has a few touristy shops and the occasional ice cream vendor it doesn’t lose any of its magic or old world charm. 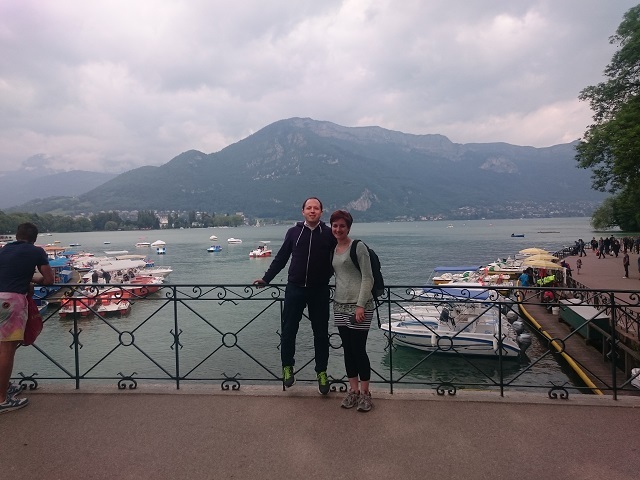 I absolutely adored our day in Annecy and am so glad Hana’s cousin suggested going there for the day. We sped home though mountains and darkness. Explore the old town and surrounding area on foot or by bicycle. On the lake there are watersports and activities from sedate pedal boats to exciting speed boats and wakeboarding. Try swimming in the lake or just relaxing in the town or on the shore. 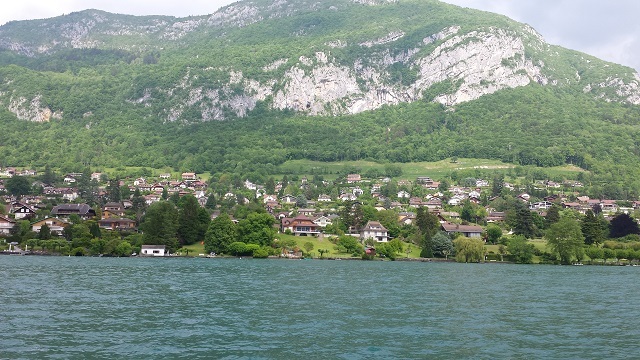 By train: Annecy is served by TGV trains from cities and towns across France, northern Italy and Switzerland. Visit the SNCF website for more info. By Car: Annecy is served by the E712 highway and is easily accessible. In the town itself you won’t need a car as it is a relatively small town and everything is easily accessible. 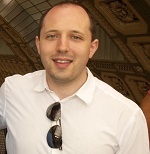 Alternatively use a rideshare service such as BlaBlaCar. By air: The nearest airport is Geneva airport which is around 40 minutes away by car or coach. The town is quite small and you’ll probably want to spend most of your time in the historic medieval centre and around the lake. As many towns and cities in France do, Annecy has a bike hire scheme and there are handy cycle paths around the town and lake. Grenoble is a really nice small city, I hope you like it. 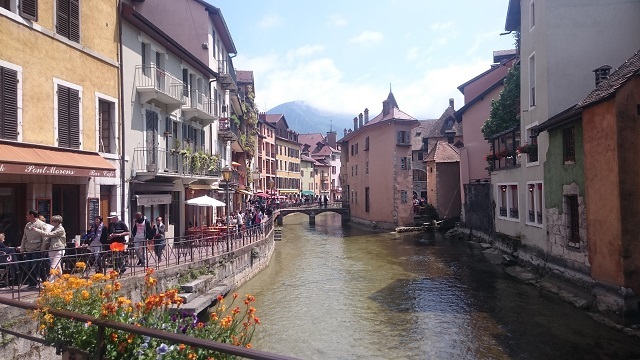 Do make sure to visit Annecy as it is a really lovely place. I’d go when the weather is good so you can spend time out on the water as well.